At Touchstar, we believe it is important for us to always look for new ways in which we can improve on our sustainability and diminish our environmental impact. Looking back on recent years, we have revamped our online facilities to include client portals and electronic document availability. Thanks to our new internal paperless systems and online customer portal, making payments and reviewing the progress of repair work online, not only makes life easier for our customers, but is also more cost efficient. Not only are these online services more accessible and convenient for our customers, they are also hugely contributing to helping reduce our carbon footprint. Many of the IT systems within our sales portfolio also offer considerable environmental benefits, primarily by encouraging clients to go paperless. In turn, our clients can gain multiple operational advantages as well as being able to demonstrate their own green credentials to the wider business community. A typical mid-sized business will send 18,000 invoices to its customers every quarter. This equates to a massive 2 tonnes of paper invoices and envelopes each year! A single tree produces enough oxygen every day to support at least 2 human beings. Chopping down trees decreases the amount of oxygen in the ecosystem. 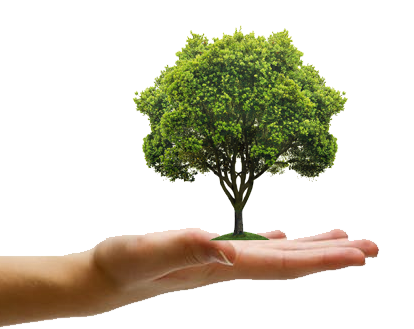 By striving to go paperless, an average organisation can save around 48 trees a year in paper. Why is there still a perceived need for paper in the business work flow? Many people still believe that legally binding documents must be signed with wet ink signatures. As a result, this leads to printing masses of paper that are couriered to customer locations, signed and stored in filing cabinets and vaults. However, legislation has been passed to legalise and enforce electronic signatures. It is no longer uncommon to receive a shipment by signing on an electronic pad that records your wet electronic signature. Using software technologies that capture your wet electronic signature just makes business sense! Paperless EPOD is here now! So, what are its environmental benefits? Touchstar are a leading provider of Electronic Proof of Delivery (EPOD) systems which are purposefully designed to digitise the paper trail … but can we even begin to establish a clear argument for environmental impact? We think we can! Each client delivery scenario will entail processes that would have formerly been paper-based, principal amongst these are the vehicle check and the delivery note. Our typical client will make, on average, 25 deliveries per day. With a paper-based system we estimate that at both the delivery point and within the back office, circa 52 items of paper per day will be generated. Touchstar has a current installed base of around 5000 trucks using our system. If we assume the trucks are delivering for around 320 days per annum that’s over 83 million sheets of paper generated by a paper-based system … or 83 million sheets of paper saved by those who’ve adopted paperless EPOD. That’s the equivalent of 20,000 trees and so we believe Touchstar clients deserve a big pat on the back! With paperless EPOD it’s not just the environment that gains, there are massive operational benefits for the client too. If we take another key criteria of ‘time’ and apply a similar thought process and calculation, the results are equally staggering. A typical process flow for a delivery scenario will entail multiple activities such as data entry, planning, paperwork printing, collation, driver interaction, customer interaction, reconciliation etc. The exact timings will be dependent upon the type of organisation and the delivery scenario. Touchstar business analysts have assisted organisations in attempting precise calculations to assist cost-benefit exercises. This experience allows us to state, with confidence, that utilising paper-based non-automated procedures for the delivery processes highlighted will equate to a minimum of five minutes per delivery. If we extrapolate this out in the same way as for paper production the result is 25 deliveries per client x 320 days = 8000 deliveries. In terms of time expended that’s 40,000 minutes per annum. Again if we consider the current Touchstar installed client base (of 5000) that’s 200 million minutes per annum, or over 3.3m working hours. 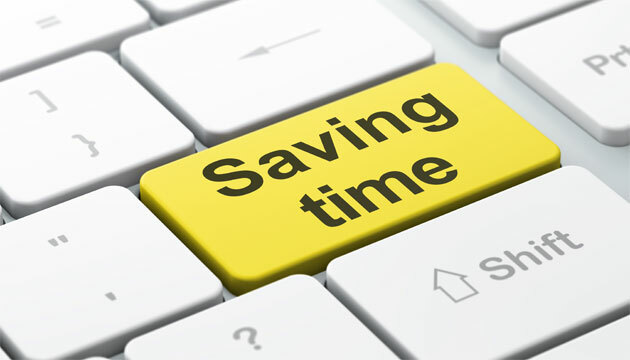 These are hours expended for users of paper-based systems but as Touchstar EPOD systems digitise those processes entirely and eliminate the associated time that’s a net SAVING statistic. We’re extremely proud to be able to quote these kind of statistics and delighted that we can impact both the logistics industry and the environment in such a positive way. These impacts will only grow in tandem with the growth in our client base, meaning that genuinely ‘everyone is a winner’!